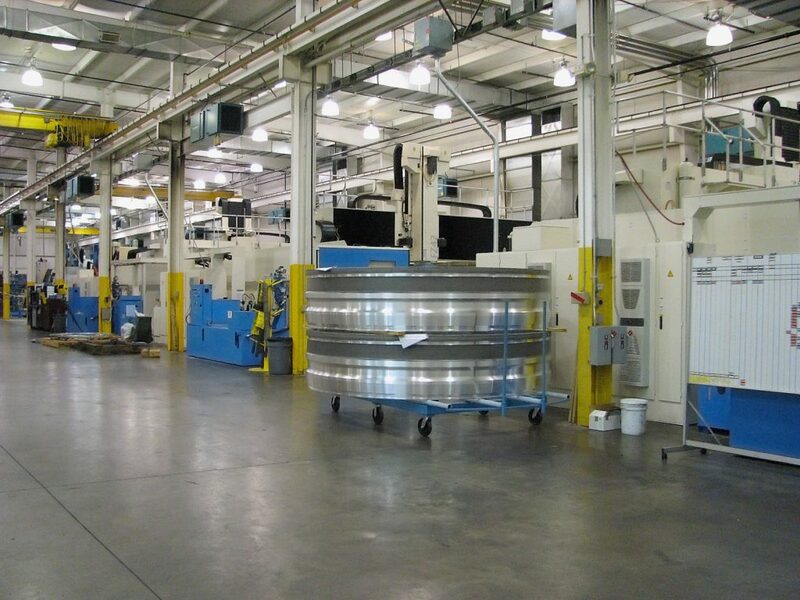 Located near Hartford, Conn., Volvo Aero Connecticut specializes in the machining of large components: fan cases for aircraft engines and gas turbines, fan and compressor structures, compressor rotors, low-pressure turbine cases (LPT) and military parts, usually from aluminum and titanium, as well as Inconel and Waspaloy. 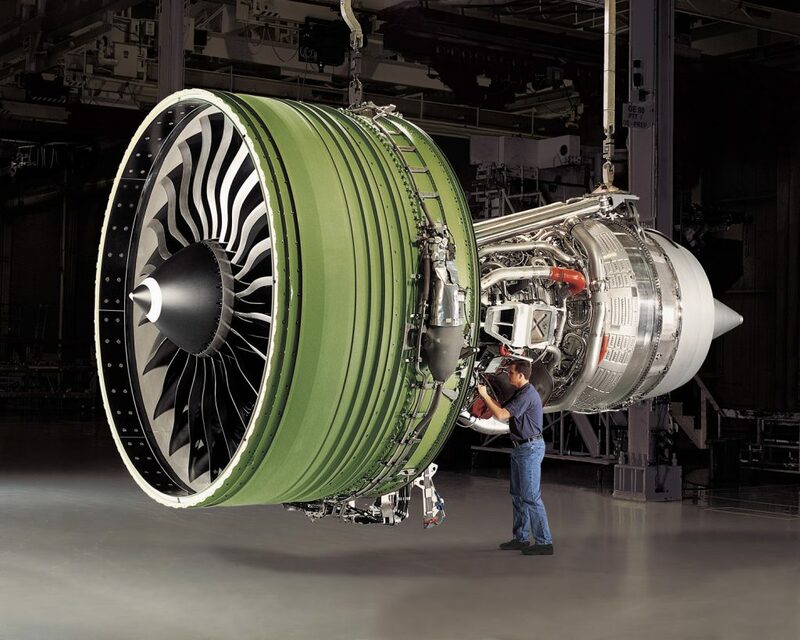 It currently manufactures the largest fan casing in the world, at 3.5 meters (11.5 feet) in diameter, for the massive GE90, the only aircraft engine in existence providing 127,900 pounds of thrust, to power the Boeing 777 line. 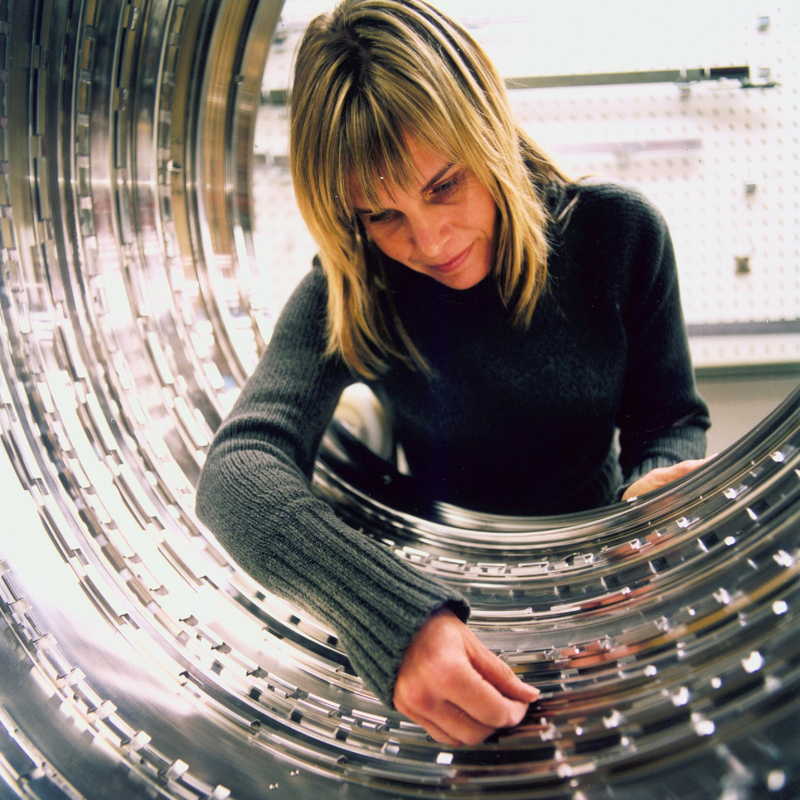 Volvo Aerospace also produces numerous titanium fan cases for Rolls Royce engines. With the large workpieces, high material removal rates and challenging geometries inherent in aerospace metals manufacturing, coupled with substrates that are often difficult to machine, such as titanium, there is always a need for powerful machining with superior accuracy. Such conditions present substantial hurdles at aerospace supply companies, as they seek to maintain that delicate balance between these seemingly opposing concepts. As part of its program for the GEnx engine, to be used on the Boeing 787 Dreamliner, Volvo Aero Connecticut recently added a Zimmermann FZ42 machine tool, a five-axis, five-side portal milling center, to its already impressive manufacturing cells at the Hartford facility. The new machine joins other five-axis mills, vertical turning machines, four-axis machining centers and a deburring robot. In addition, this FZ42 carries a high accuracy package that provides optimum temperature control of the structural machine parts through the use of a special fiber-reinforced compound in the massive side columns. Also facilitating this process are built-in cooling ducts in the portal and Z-axis slide, independent cooling circuits for the A-axis, C-axis and spindle, ground surfaces on the guideways for the Z-axis and side columns, plus a double-pitch measuring system on the A-axis and C-axis. During the course of manufacturing, thermal expansion of both machine components and workpieces can substantially impact the positioning accuracy of the machine, the stability of the workpiece and the resulting effect on the finished part dimensions. This unique combination of temperature control and mechanical accuracy in the machine construction were an important deciding factor for Volvo Aerospace in acquiring the FZ42. According to Martin Thorden, engineering manager at Volvo Aero Connecticut, “These features, combined with the onsite machine set-up provided by Zimmermann, were very important to us, especially on this new GEnx project.” Thorden further noted the importance of the control on the machine, a Sinumerik 840D CNC from Siemens. “We see a very big benefit in how well we are able to control the tool with the CNC. We have been able to use the control to take on additional tasks that were previously handled by our CAD/CAM system.” Specifically, he cited the unconventional approach Volvo Aerospace took in machining the big fan cases. They installed the machine without a rotary table, thus realizing over $500,000 in direct cost savings plus material handling time. As a result of that decision, they believed they needed a top-of-the-line control to probe and accurately machine all the features on the part. After machining, Volvo Aero Connecticut can actually transition the machine tool into a coordinate measuring machine for inspection, according to Thorden, owing to the superior accuracy provided by the CNC, as well as the special 90 degree angle heads supplied with the machine, part of the MuST® spindle technology from Zimmermann. Onboard the machine tool, a massive 120-position tool carriage holds various HSK63 and HSK100 tools that are used to machine the substrates worked here. 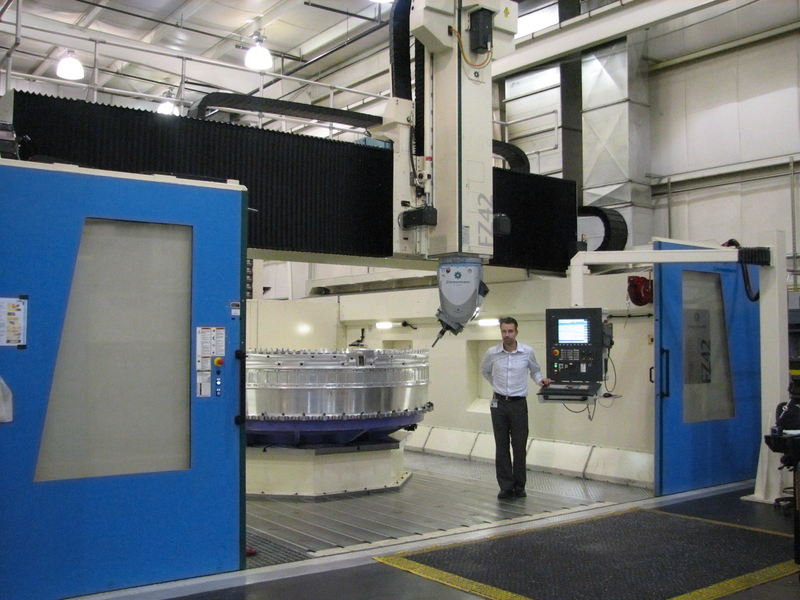 Inside a series of four side stations, within the machine workspace, four additional specialty tools are stored and used for various operations in the machining and measuring process. All motors and the drive package onboard the Zimmermann FZ42 at this Volvo Aero Connecticut facility are also made by Siemens. In a typical machining sequence, the milling head on this machine, equipped with the Zimmermann MuST® spindle system, provides Volvo Aerospace numerous other advantages, according to Martin Thorden. All roughing and subsequent finish passes on any material can be achieved in one set-up, which reduces the preparation time and overall production costs by as much as 10%. There is also no need for additional machines and the corresponding materials handling time. The head design further enables Volvo Aero Connecticut to perform tasks other than milling, using the specialty heads stored on the side stations. Changing the spindle, instead of the milling head, enhances repeatability and further reduces the company’s spindle interface costs, according to Thorden. The combination of increased accuracies, reduced equipment needs and faster throughput has highlighted this Zimmermann machine installation at Volvo Aero Connecticut.